In a stunning announcement the Aidonis Foundation has revealed the recipient of this year's Aidonis Statue, the symbol of inter-stellar peace and harmony. Presented to individuals prominent in promoting galactic peace and co-operation, the nomination of Heideran VII, the Amarr Emperor, has taken many people by surprise. The Aidonis Foundation is named after it's founder, the former president of the Gallente Federation Aidonis Elabon. To many, Aidonis is the greatest president the Federation has ever known. In his time the young and energetic president took the lead in bringing the empires together when to many it seemed the world was destined for bitter warfare for the foreseeable future. Under Aidonis’s leadership the empires met at the historic Yoiul Conference, and he was one of the prime catalysts for the creation of CONCORD and its consequent brokering of the peace accord that ended the long war between the Gallente and the Caldari (though the final peace was only signed some years later, after his death). Upon his death his will called for a Foundation to be set up in his name, which was responsible for rewarding those persons that most upheld Aidonis vision for peace and prosperity in the world of EVE. In the spirit of friendship advocated by the former president, the committee that handles the nomination is populated by people from every race and culture, equally taking the views of everyone into account. 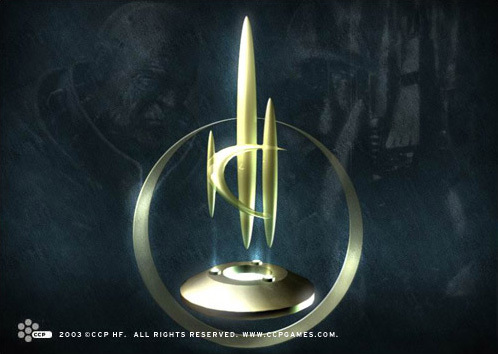 Heideran VII is the first Amarr Emperor to receive the award and the decision has turned out to be controversial. There is no denying the fact that under Heideran's leadership the Amarr Empire has become much more amiable in it's relations to the other empires. Relations between the empires have never been better and seem only poised to get even better in the near future and many contribute this fact directly to Heideran VII. In fact, those that have expressed outrage over the decision have grudgingly admitted that Heideran is a great leader that is undoubtedly one of the main reasons for the tranquil world we now live in. Their only gripe is with the Amarrian society itself, such as practices of slavery and other breaches of human rights. These issues, while unquestionably important to any philanthropist, cannot deter from the overall picture: that if it wasn't for Heideran's personal interest in seeking compromises every time a potential political powder keg threatened to explode in the face of the world community we would now be living in a world of constant strife and warfare, with untold suffering that would encompass. Indeed, the praises and thanks that have rained in from every corner of the world of EVE since the announcement was made far outnumber the few critics. Heideran VII is the symbol of the peace and prosperity we have all come to love and cherish.